Jupiter is the King of the planets, with mass one-thousandth of that of the Sun but it is two and a half times the mass of all the other planets in the Solar System combined. Jupiter is classified as a gas giant along with Saturn, Uranus and Neptune and together, these four planets are sometimes referred to as the Jovian or outer planets. Jupiter was known by astronomers of ancient times. Spend the evening with our experienced astronomers who will answer any of your questions on this fascinating neighbour. 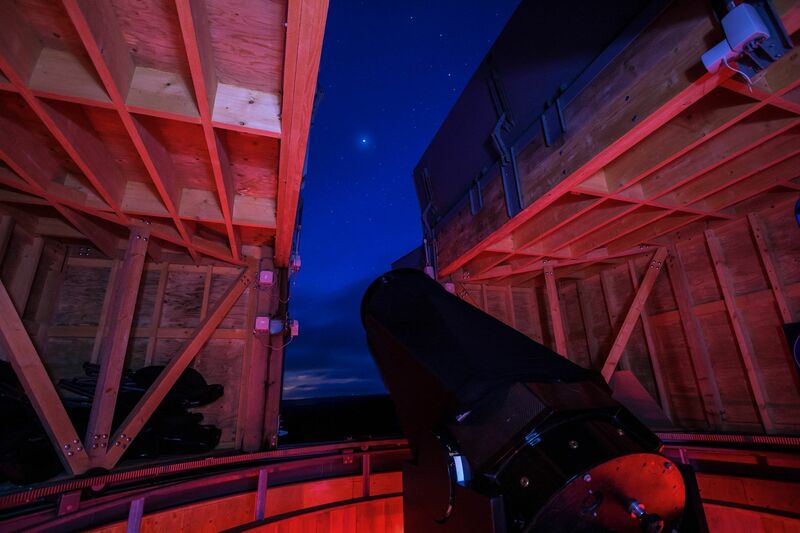 You'll receive a tour of the observatory and the instruments we use and if the weather permits spend plenty of time peering through our telescopes deep into the night sky. From our observatory viewing platform we can take you on a tour of the night sky and point out constellations and other objects beautiful in summer such as the Moon, the planets and maybe the elusive noctilucent clouds. Jupiter is bright enough to see even in the lighter skies of summer and observing Jupiter through our powerful telescopes is a true "wow" moment, showing you what the great Galileo saw at the dawn of the telescope itself, truly incredible to see.